Hrithik Roshan shared insights from his life struggles to battle speech issues as the actor has been approached to be the brand ambassador of The Indian Stammering Association. Hrithik Roshan who now delivers his punchlines with a punch on screen has bravely addressed his struggles with stammering, admitting that he could only fulfill his acting aspirations by undergoing speech therapy. The actor has been approached to become the brand ambassador of The Indian Stammering Association (TISA) following a discussion with nine of its members at his residence on March 15. What was supposed to be a 20-minute meeting went on for over an hour during which the actor revealed how he'd stand in front of the mirror and talk, recording his voice and even learning how to sing. "I'd practice every day to overcome the speech issue, I still do for an hour at least so that I can control the secondary actions like twitching and all," informed Hrithik, adding, "The unacceptability to stammering was not only bothersome in my childhood but also prevailed till 2012, long after I had become a film star." In the early years of his career, he had to let go of many scripts that had long monologues because he wasn't confident of carrying them off. During the meeting, Hrithik also recalled going to Dubai to accept an award. Back then, he was struggling to say the word 'Dubai' and practiced his acceptance speech repeatedly before delivering it flawlessly. "I have now accepted myself as a slow speaker, I have to go through the sentences for a fraction of a second in my mind before saying them aloud. For a long period, it was a struggle for me to accept this, but now I am fine with it," he acknowledged, saying the breakthrough came with the Neuro-Linguistic Programming (NLP) in 2012 which set him free. But he still needs practice. 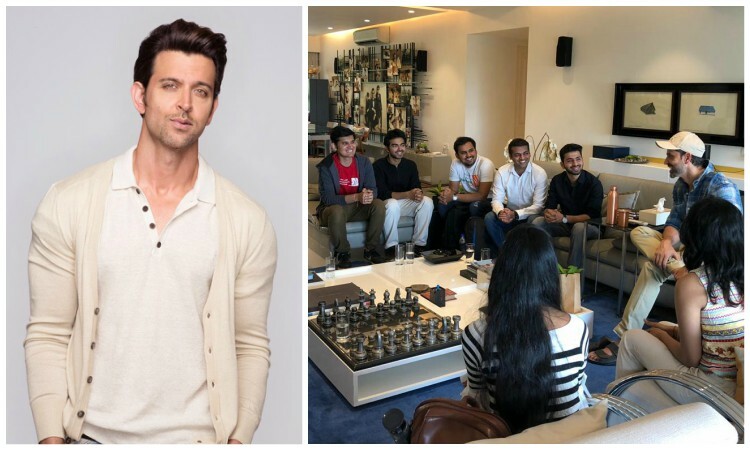 Before they left, the TISA members gave him badges and hand bands while Hrithik voluntarily offered his support to all activities of the body henceforth, saying he's looking forward to more such interactions. "Stammering is an underrated challenge because its gravity isn't discussed much, it is grave because it is related to your confidence as a human being," he asserted. Can't beat, join them: Sharmila on Taimur-frenzy This is what happens when Surya MEETS Simmba!